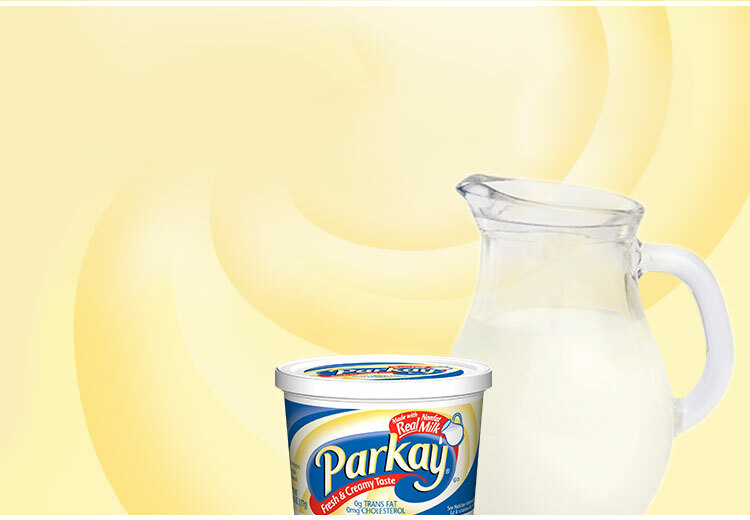 Made with real nonfat milk for a fresh and creamy taste. 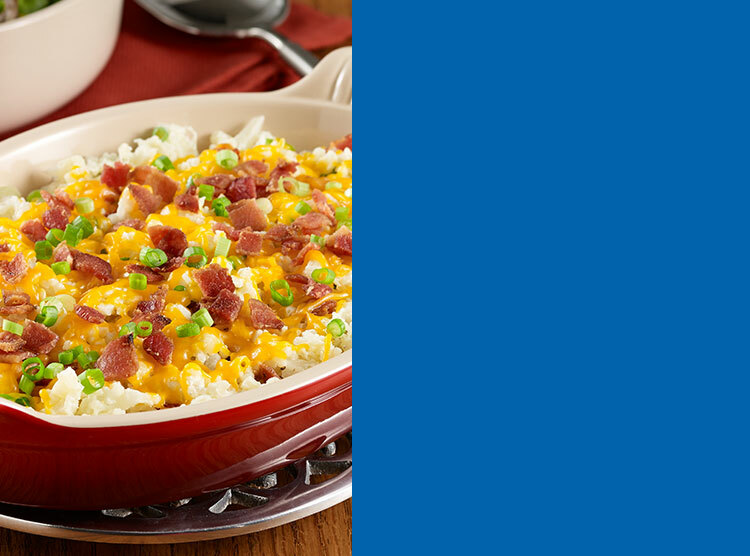 Bacon jerky and sharp cheddar cheese transform this veggie into a home-style side dish the whole family will love. 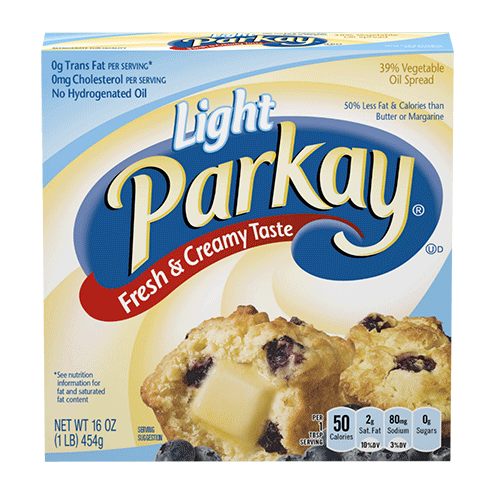 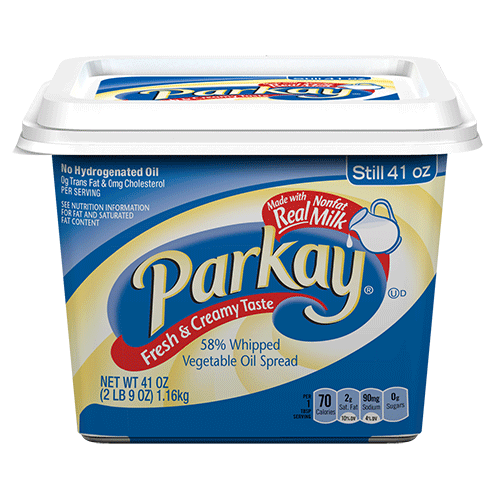 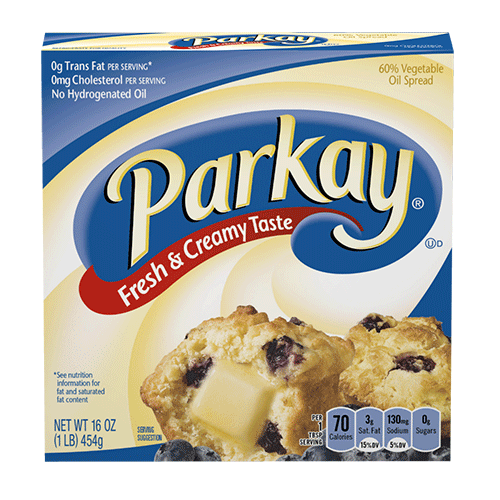 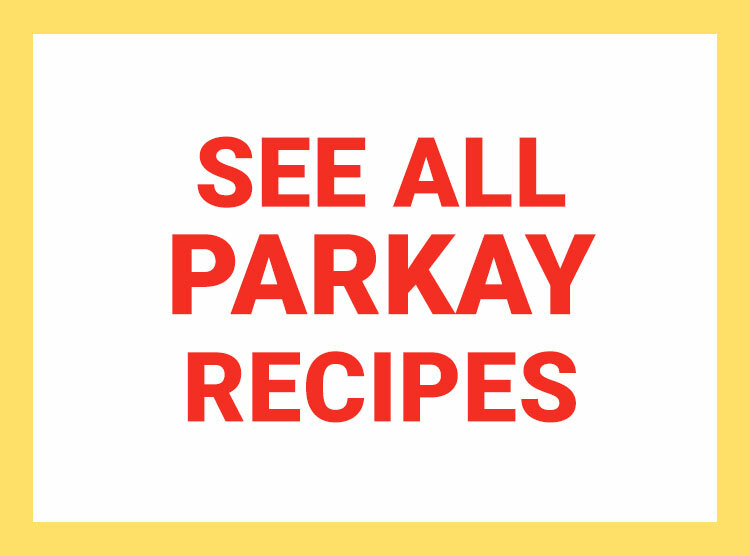 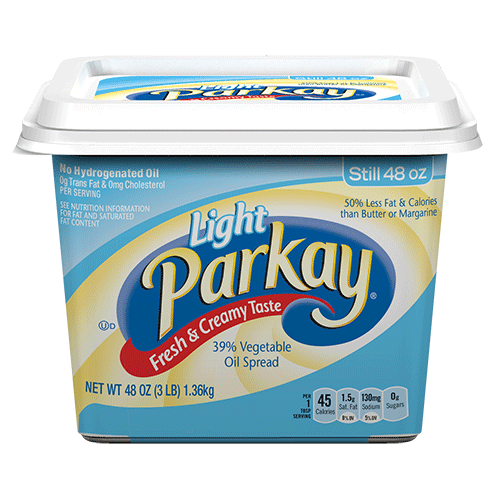 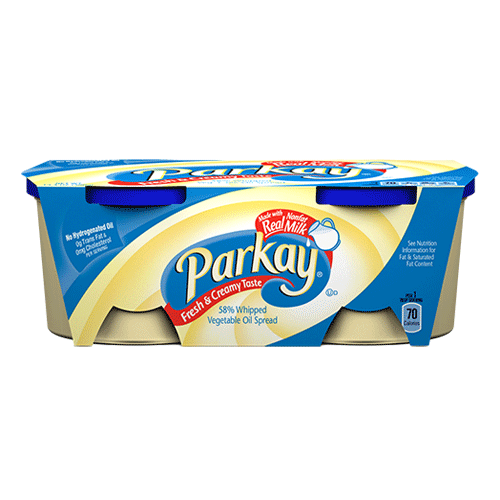 With 0 g trans fat and 0 mg cholesterol,* Parkay comes in spreads, sticks, and squeeze and spray bottles for cooking, baking, and topping all your favorite foods. 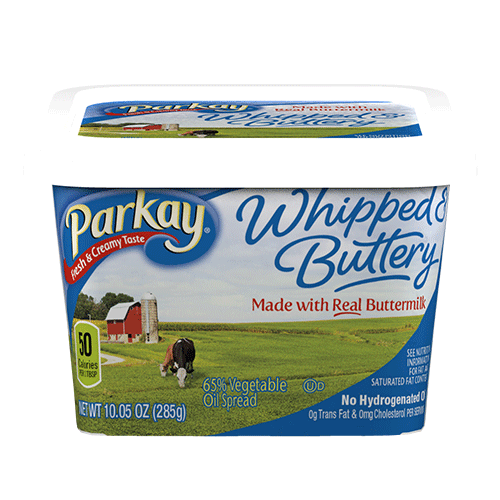 Treat yourself and your family to its rich, buttery taste—you’ll never go back to butter. 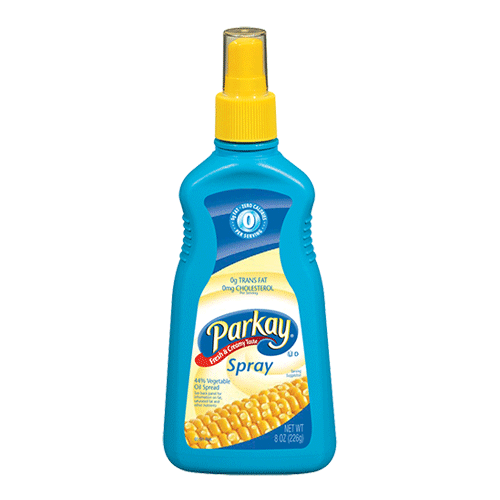 Available in 13 oz. 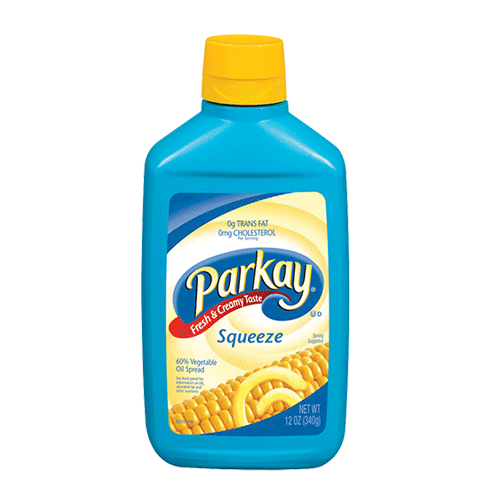  41 oz.